I have been in practice for many years and Dream Smile dental Studio is by far the best dental laboratory I have ever used. The quality, accuracy and consistency of the work I receive are superior to any other lab I have used in the past. 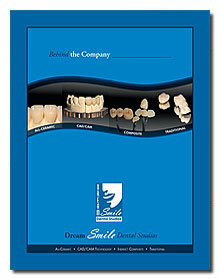 After many frustrating months of sending crown and bridge cases to different dental laboratories, I came across a continuing education seminar put on by Dream Smile Dental Studio. I was impressed with the facility, sophistication and organization; however I have had terrible experiences with so called “cosmetic labs” in the past. After hearing that my cases would be worked on by the same technician each time, I decided to send a few cases to see if they could deliver on the quality and service they assured me I would experience. Aside from excellent quality work, using Dream Smile Dental Studios has been the opposite of my experience with other cosmetic labs. I feel I am using my own personal dental lab, because of the attention I receive. 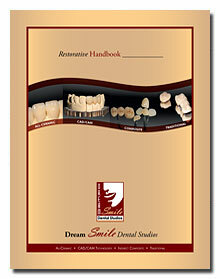 I can without hesitation recommend my partner Dream Smile Dental Studio, a compliment to any cosmetic dental practice. "An LVI Certified Lab that can deliver precision and esthetics our patients demand." It's important for our office to work with an LVI Certified Laboratory that can deliver the level of precision and esthetics our patients demand. Thank you for the wonderful work time after time and thank you for taking the time and effort to accommodate my hi-profile patient, Ms. Marsha Evants; she is a terrific referral source. She can now smile with confidence and translate this great feeling to her friends. "Exceedingly satisfied with the shade, contour and overall cosmetic appeal"
I'm writing this letter to thank you on your excellent work for my patients in general and Taylor Perry In particular. He recently required a full-mouth 28 all-porcelain crown and made a visit to your lab for custom shade. He was very impressed with the facility as well as the warm and professional treatment he received during his visit. 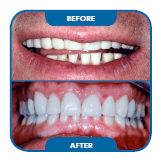 The resulting crowns fitted perfectly and he was exceedingly satisfied with the shade contour and overall cosmetic appeal.